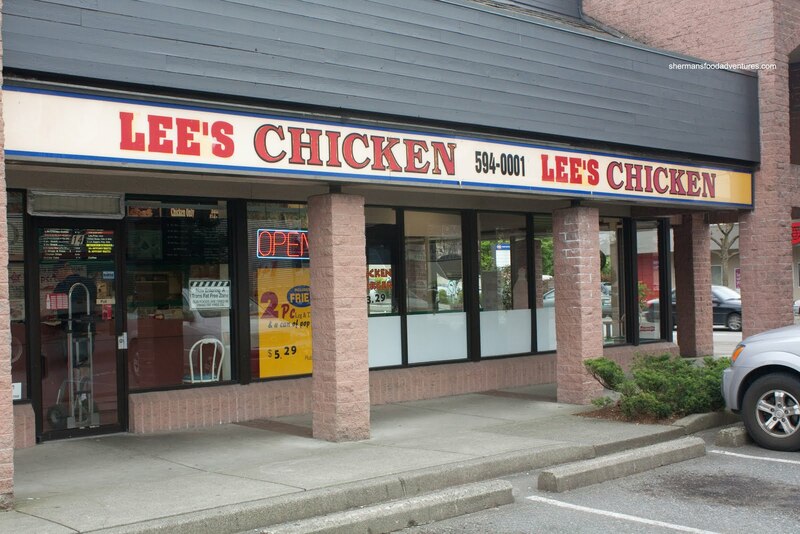 When I used to live in Coquitlam, my go-to place for fried chicken was Lee's Chicken. However, much like many of their other locations, it went the way of the dodo bird. So then I was merely stuck with Church's and KFC. There were some options though. LA Chicken (a spinoff of sorts from the defunct Lee's) in Richmond continued the "freshly" fried tradition in its current location. Then not too long ago, I got to once again experience Lee's out in Abbotsford. However, for some reason or another, the Newton location of Lee's never showed up on my radar. I knew it was there; but I kept forgetting about it... until now. 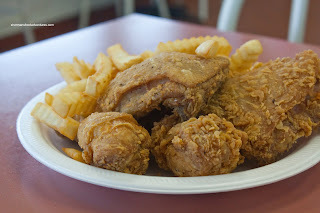 Getting a little bored of eating Asian food all the time, I decided to grab some fried goodness at Lee's. Ever since the chain began to downsize, the locations have not exactly kept up with the times. Looking very much like how it looked 20 years ago, it is not a place one would necessarily want to linger. However, I did linger and ordered a 4-Piece Dinner to boot. I opted for half original and half spicy with a potato salad. Just like I remembered it, the chicken and fries arrived hot and fresh. The chicken was super juicy, even more so than Church's. And it was flavourful, in a KFC kind of way. Hey, it's like a hybrid of Church's and KFC - the best of both worlds in my opinion. On a side note, I'm stiff baffled as to why KFC continues to make consistently dry chicken. Well, I'm in the minority it seems because KFC seems to do very good business. Anyways, the spicy was decently flavourful while not being overy spicy. I think the one from Church's is much spicier. Sure, the fries were your frozen Sysco-type (and the Sysco truck was out front I might add...); but they were fried perfectly crisp. 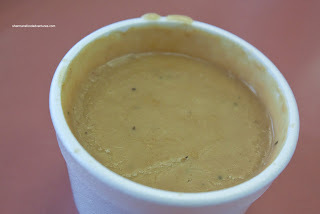 As for the side of gravy, it was pretty scary looking; but it was not clumpy and had a nice peppery kick. I didn't care for the potato salad though. It was too mustardy. If I had to choose, I'd much rather have the KFC potato salad (if I had only those 2 options). Now if I had to choose which fried chicken I prefer most, it is no contest. Even when Popeye's existed here, I still liked Lee's more. At the very least now, if I want my Lee's fix, I don't have to go out to Abbotsford. don't know if you live in coquitlam, but there is a Lee's Chicken in PoCo. @LR Yah, I remember that one and yes it became a Korean restaurant right?